What a lovely morning spent with Mr Crowther and his team who are paramedics. 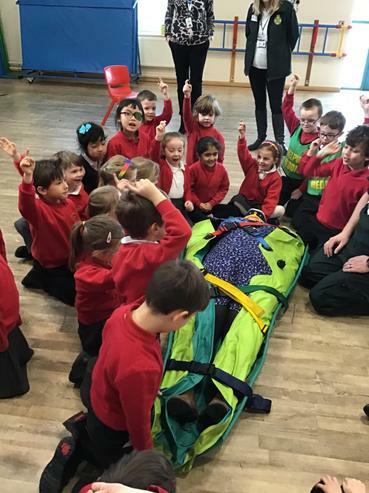 The children enjoyed a busy morning learning all about the ambulance service and the role of a paramedic. The children had a tour of the ambulance, looked at tools and equipment and wrapped each other in bandages! Most importantly, the children learnt when to call 999 and what to say in an emergency. 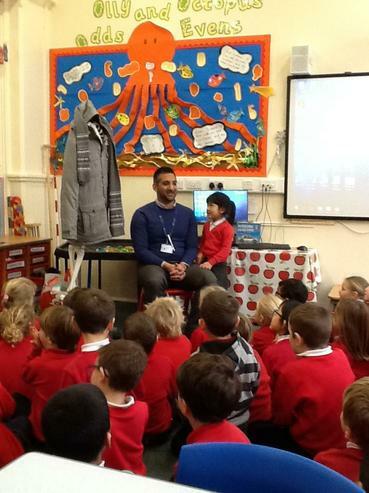 Diolch Dr Haider for coming into class and teaching us all about your important job as a Neurologist. The children enjoyed learning about all the different equipment you need to treat your patients. It was also really nice to meet your friend skinny Billy. We have learnt lots about whats it is like to be a doctor in the community. The children had lots of festive fun at the Foundation Phase Christmas Party. They played games, danced and sang Christmas songs. 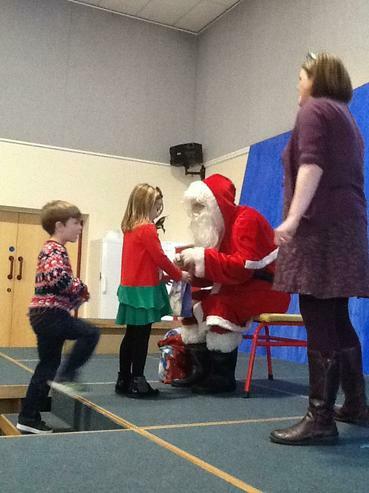 We even had a visit from Father Christmas himself! We would like to take this opportunity to wish you all a very Happy Christmas and we look forward to seeing you all in the new year. 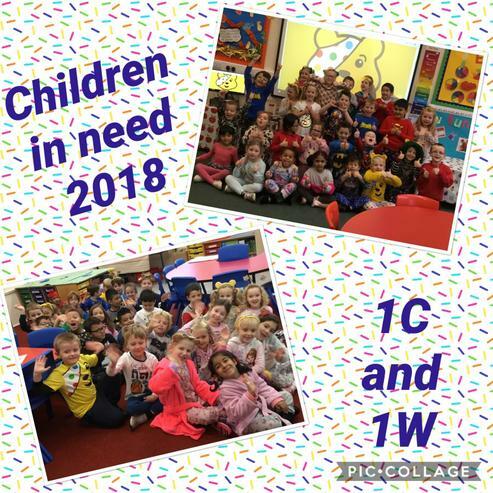 We had lots of fun in Year 1 to celebrate children in Need Day. The children had Pugsey activities, quizzes at break time as well as a whole foundation phase conga! Toys from the past at St Fagans. 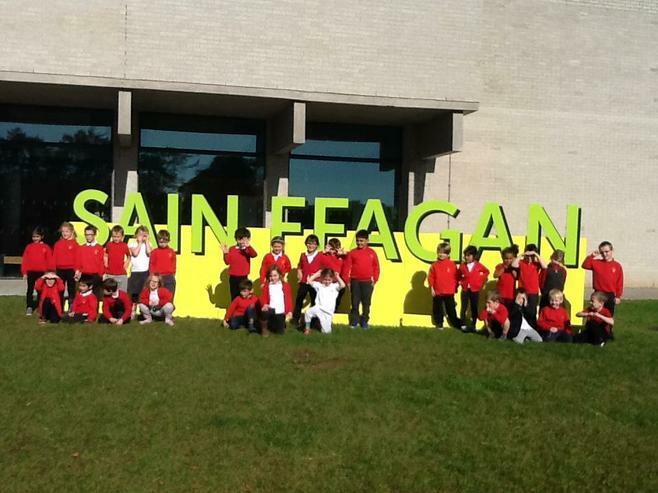 The sun was shining as we visited St Fagans for a toy workshop. The children were told how toys have changed throughout the years from wooden rattles and marbles in a jar to more modern plastic toys we use today. Diolch yn Fawr Sain Ffagans. Blwyddyn 1 had a little visitor on Monday (15.9.18). 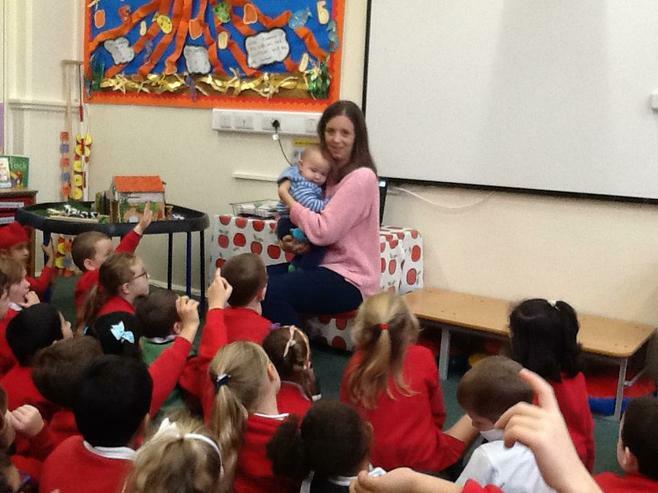 Miss Thomas kindly brought Fletcher into school so the children could ask questions to help them decide what a baby needs or doesn't need. A big thank you to them both as this has helped Blwyddyn 1 with their writing. Diolch yn fawr.